Whether cloud hosting will eventually replace desktops or not remains to be seen. Cloud computing is steadily gaining popularity because it is cost effective and resources are made available in real time. Businesses can get access to a vast resource pool belonging to multiple servers. This means that cloud hosting plans are highly scalable and your business can expand seamlessly. How is cloud hosting different from desktop? Computing hardware will need an operating system to become operational. This hardware or server includes memory and hard drives, processors and motherboards, power supplies etc. The operating system is important as it enables interactions between the devices. Cloud technologies basically allow the usage of apps on different computer operating systems. All such computers are accessible across the Internet. So, we can log onto a site and use its applications. It is also possible to create and store files on multiple computers just as one can store files on a single desktop; this is called cloud storage. In short, cloud hosting has been designed to help eliminate many of the problems which users used to face earlier with their personal computers. In the past, whenever there were instances of virus attacks or damages to component parts, the computer would become non-functional. But, in the cloud, the operating system, computers and apps are kept separate from one another. This makes it possible to access redundant hardware and OS. Every server in the cloud can offer you the exact same applications and each such server will have duplicate files. So, the cloud is a cluster of many servers where the operating systems are interlinked via a network. For instance, you can access your emails using cloud hosting. When your mail servers face sudden power outage, they do not completely shut down. Rather, they transfer user access to other standby servers which have copies of what you need. So, if anything happens to an OS or to a single server, access is redirected to other active servers. This allows users to retain access to their documents and files simply by logging into their respective accounts. The re-routing also allows these duplicate servers to offer speedy services. So, cloud hosting plans guarantee scalable and sufficient resources. Cloud hosting will also provide for more reliable and faster use of resources. You do not have to spend a fortune on buying costly hardware and applications. Cloud technologies are useful as they allow access to be redirected to other standby servers or to nearby servers when a server becomes slow suddenly. You can use cloud computing technologies to set up another OS on what is your existing OS. So, a Mac user may be able to install a Windows OS for using Photoshop or Office Suite in his desktop. 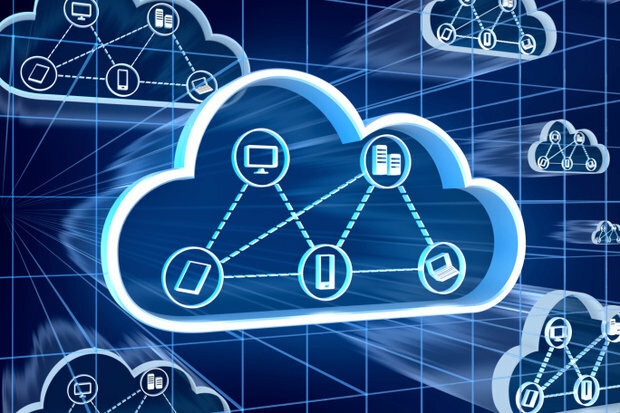 In other words, cloud hosting is a concept which is evolving at a dramatic pace; it guarantees much faster, secure resource allocation and usage. Cloud technology evangelists have for many years been declaring a death sentence for the desktop. Research firm expert Gartner in a report predicts that individual cloud services will most likely replace the traditional desktop. Analysts feel that virtualization; consumerization of technology and greater increase in user mobility will bring about this change. Key patterns in client computing have marked a shift from personal computers to tablets, smartphones and several other devices. Consumerization of technology led many companies to modify their policies depending upon employee needs. Some cloud services like cloud storage have taken off in a splendid way and sales of desktops have dramatically declined. In comparison, the sales of tablets or smartphones have gone by radically. However, the truth is that not all customers are giving up the PC for the tablet; they are buying tablets to supplement their PCs. It is possible that a decline in the sales of desktops has been because now the users are not making a beeline for the latest computers in the market. They have started to use other supplementary devices along with their home computers. There is no arguing the fact that cloud hosting is here to stay. Cloud hosting solutions are far more customizable, scalable and cost-effective compared to desktops or personal computing. You can access your personal computing no matter where you are, even if you may be traveling. While security concerns about cloud hosting have been voiced from time to time, it is a fact that its benefits will outweigh the risks.